Whether planning an outdoor festival, running event or even a parade route; security needs to be maintained quickly and efficiently. 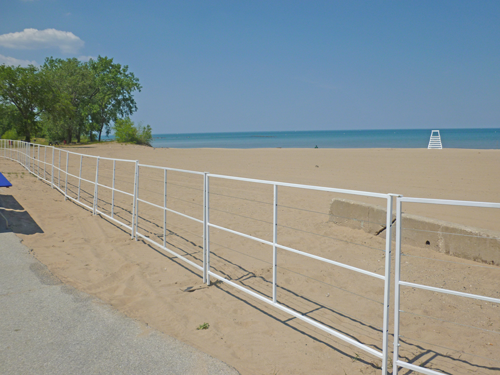 Proper fencing can be used to keep guests out of restricted areas or even direct them toward desired locations. 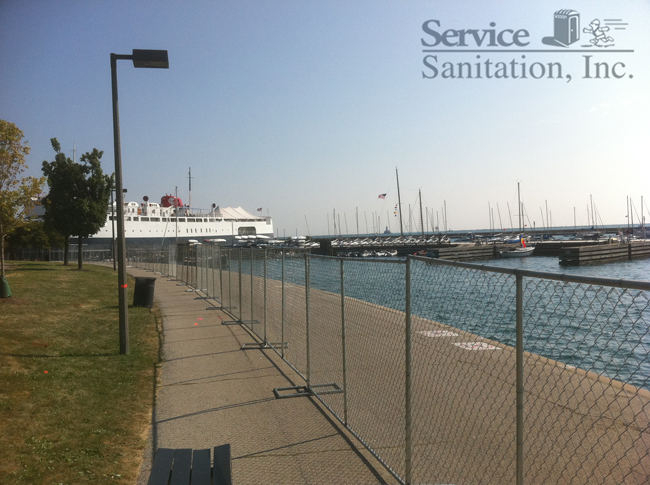 At Service Sanitation we offer a variety of different fencing options that come in different heights and widths. Event fence panels provide a quick and easy accommodation for on-site security, especially when drilling is not an option. Each panel is secured by using a low-profile base and a reinforced clamping system. 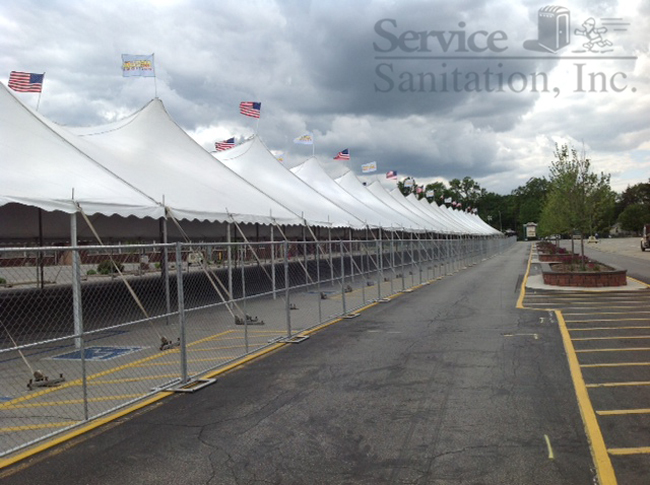 This allows for quick setup before and after your event. The unique “no drill” design also prevents unwanted ground damage when in operation. Set up in minutes, no tools needed. The modular design of french barricades provide event coordinators the versatility of temporary crowd control without the unflattering look of outdated equipment. Each barricade panel is 4′ in height and 8′ in length creating the perfect impassable barrier without blocking your guests’ line of vision. 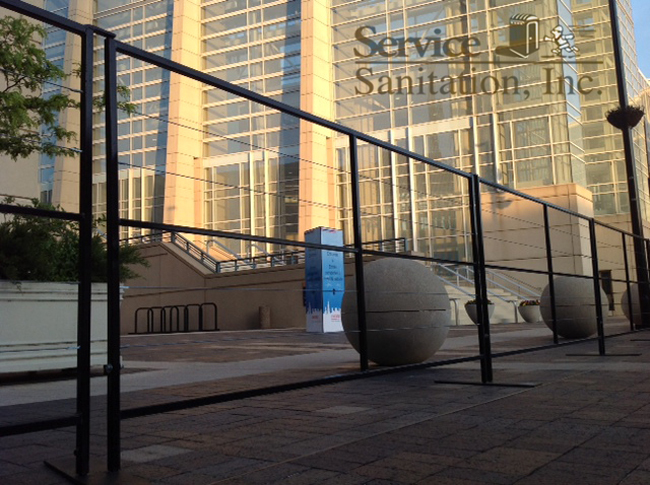 French barricades are ideal for parade routes, marathons or even cycling events. Heavy-duty base plates add support. Low profile reduces tripping hazards. Unique Rail design provides modern look.